I am sitting in the manager’s office of a gas station in Tamale, Northern Ghana. There is a general power cut in the city, so none of the internet cafes are working. This gas station has a power generator to keep the fuel running. The manager has been so kind to let me use his PC in his air-conditioned office. It’s 40°C outside – my plan to skip winter this year is working out just fine! Meanwhile, I feel like I could cycle for the next ten years. I am very comfortable with life on the road and I love every single day. The further I go, the more I feel at home. It all feels very natural. I feel very welcome and connect easily with locals. Yesterday I was talking to a man, he had just come up to me to say hi. When I told him I feel very welcome he said “you cycled for five months to get here, so you clearly love Africa”. I like to think so yes! The entire route so far. Total distance of 9430km … and counting! 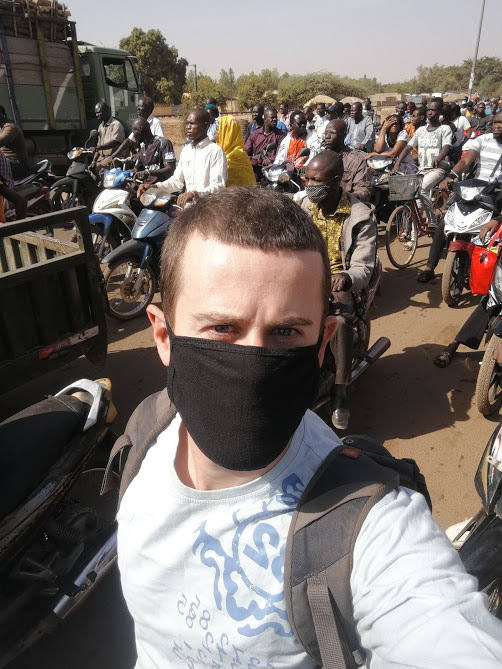 From Bamako, I cycled towards the border with Burkina Faso, and continued towards Ouagadougou. I camped wild, slept in gas stations, and stayed with locals. 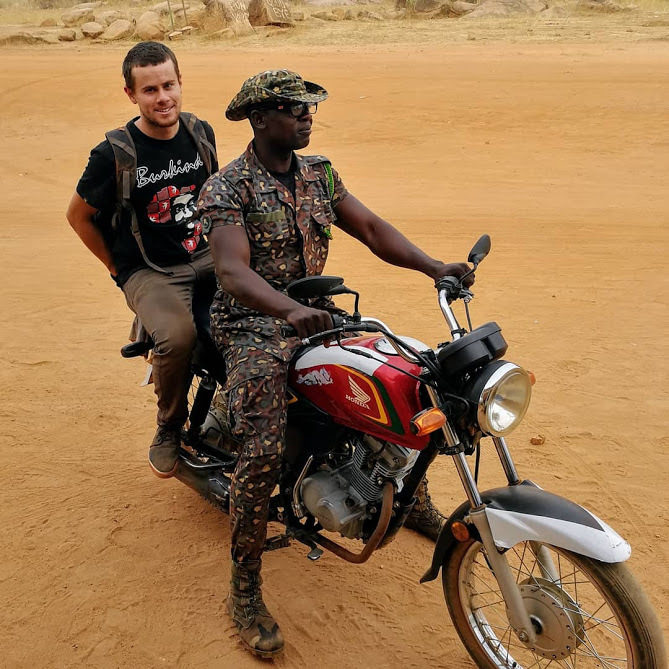 I drove Seydou’s motorcycle in Orodara. I cycled on jungle tracks. 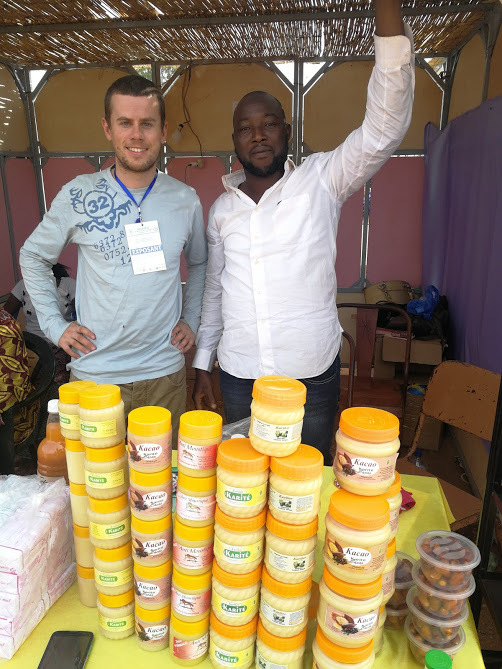 I sold Shea butter on the market in Ouagadougou. Yasmine Kafando took me on the back of her motorcycle. 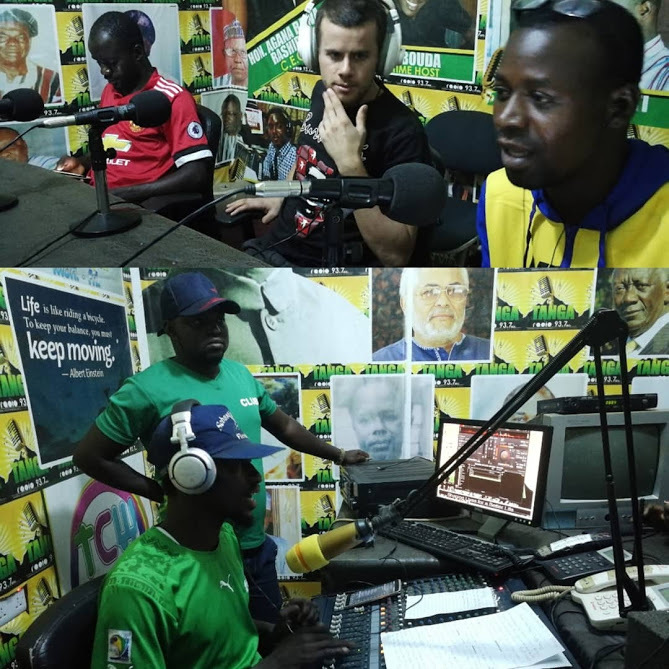 I met Ebo and talked about my journey on radio Tanga (Ghana). I stayed with firefighters in a village called Sung. last but not least: I have been drinking tap water without any issues (this is a big deal). 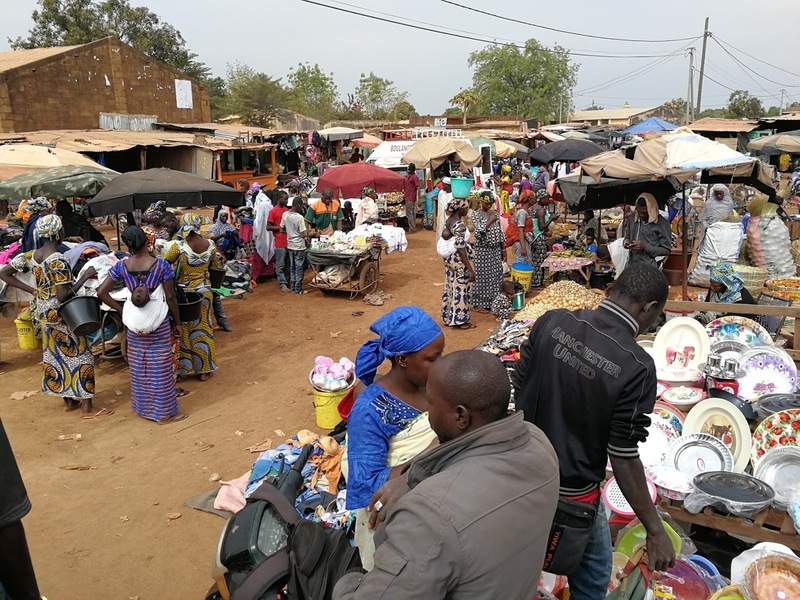 From Bamako I cycled towards Sikasso, the second largest city of Mali situated near the eastern border with Burkina Faso. 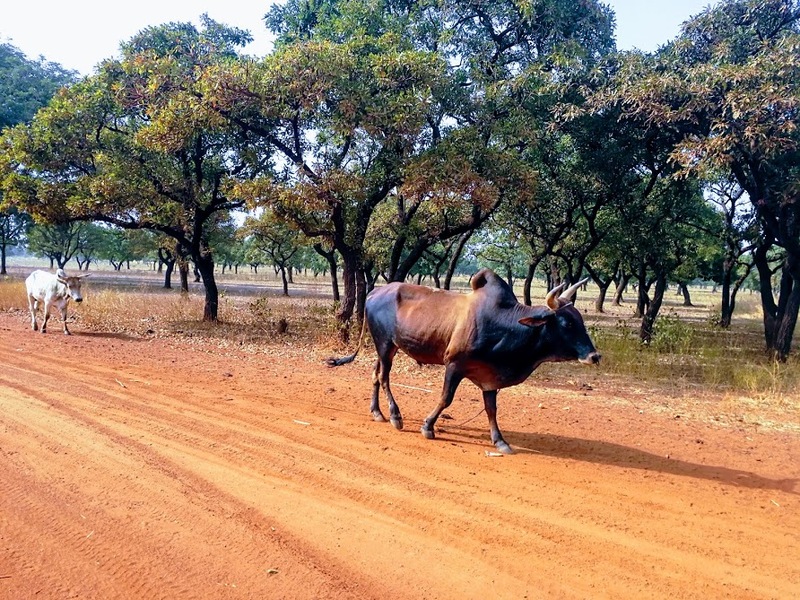 There is a national road that connects Bamako to Sikasso. 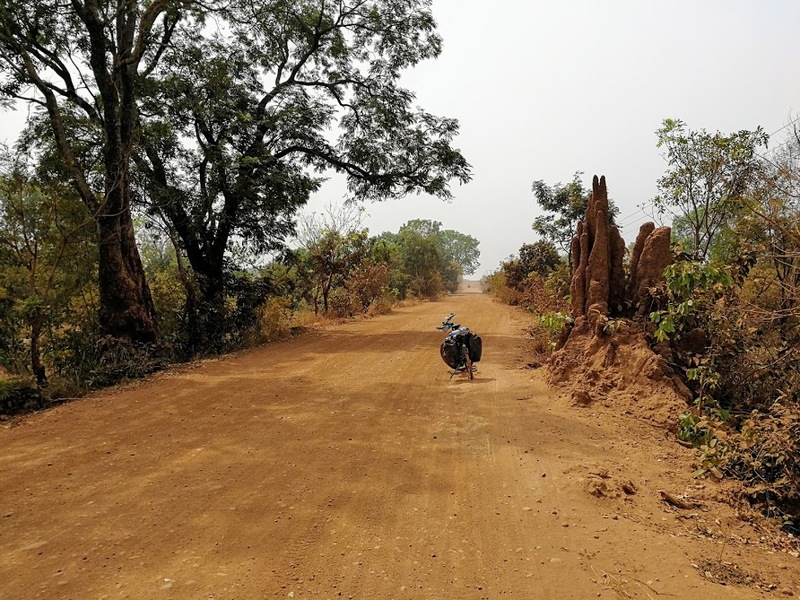 The 340km long ride takes you through the jungle along small villages. This part of Mali is, in sharp contrast to the North, very green. There are a handful of rivers and there’s a lot of wetland. This green oasis is called the Inner Niger Delta. 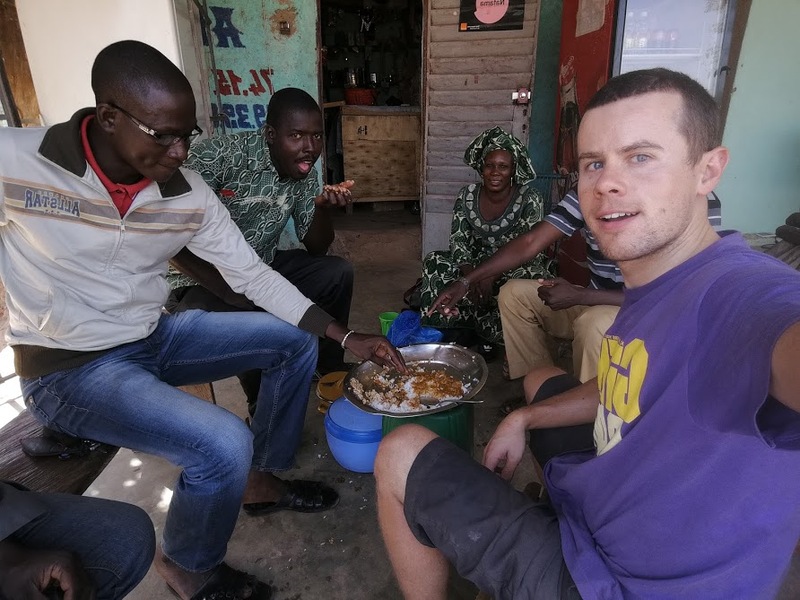 Lunch with teachers of the public school of Zantiebougou. Along the way I camped wild. 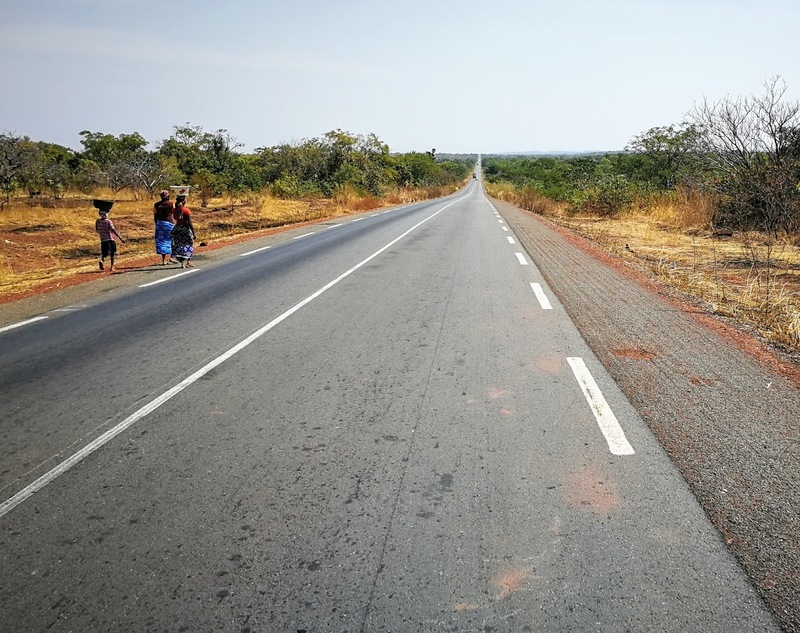 The road to Sikasso is very well maintained, so I did over 100km per day. 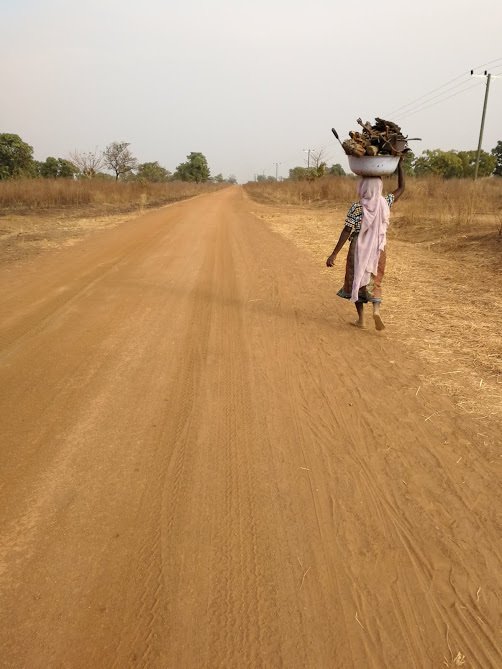 The state of the road is probably related to mining activities in this region. There are gold mines scattered in the jungle, operated mostly by foreign mining companies. I ran into French and American miners. African gold rush, it’s real! After three days I arrived in Sikasso. I complemented Ibrahim (middle) on his outfit, and I stayed at his place behind the gas station where he works for two nights. He introduced me to a new dish, caterpillar soup. it’s worth a try! 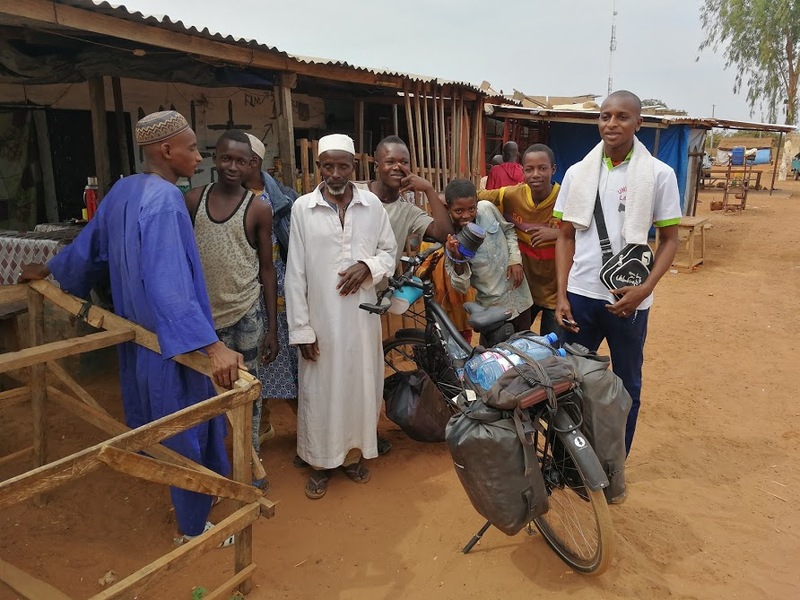 From Sikasso it takes only two hours – by bicycle – to reach the border with Burkina Faso. I obtained a visa in June at the embassy in Brussels, so it went smoothly. 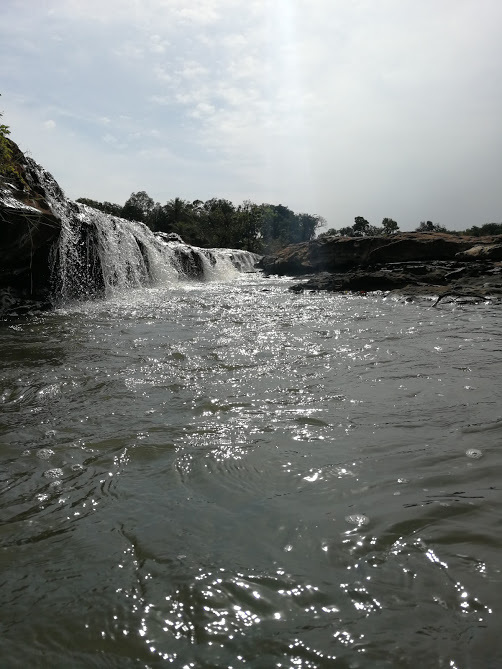 On my way to the border I passed by this waterfall. 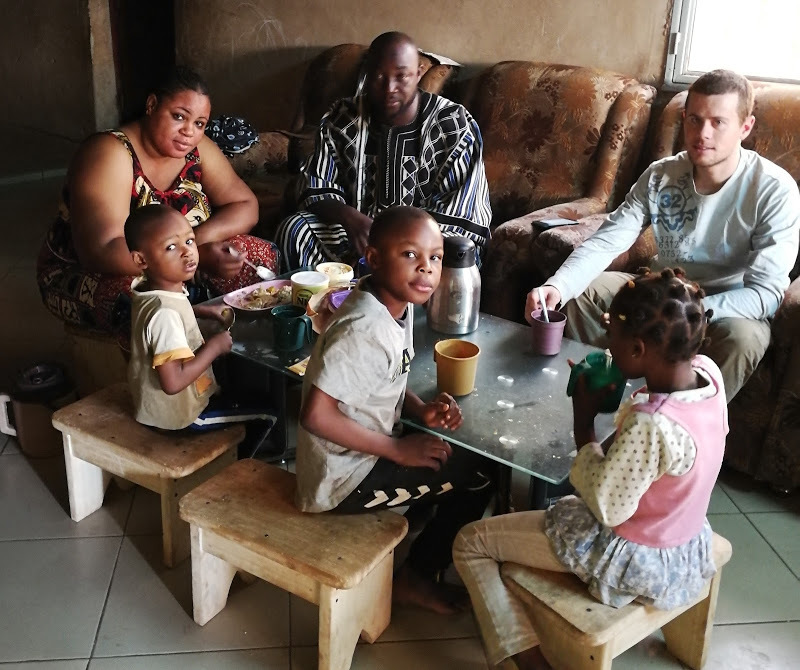 The first people I met in Burkina Faso, just accross the border, were Alakagni Sourabié and his family. 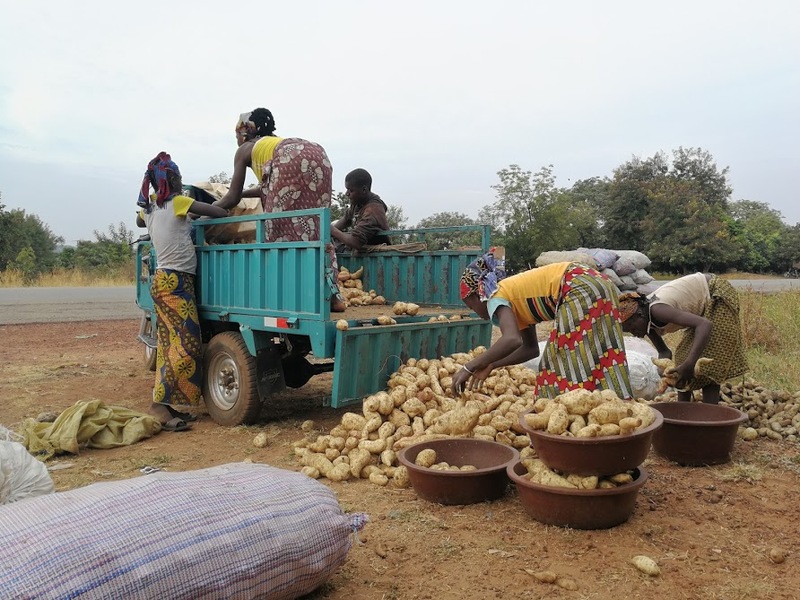 They were sorting the sweet potatoe harvest. Alakagni studies anthropology and comes back to his village often. 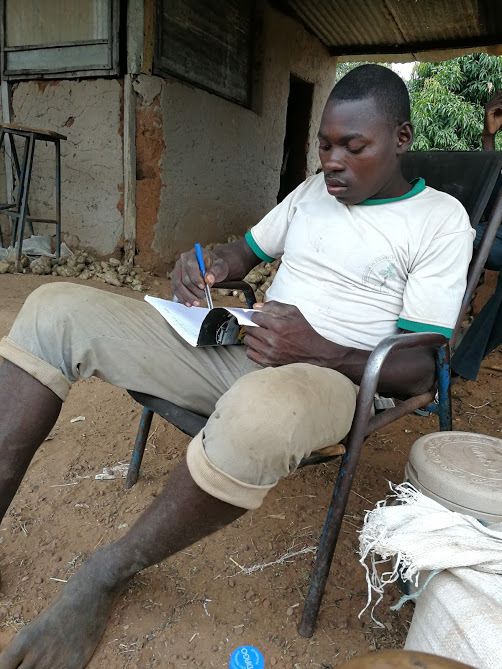 He keeps track of the total weight of patatoes that can be sold to wholesale buyers in Sikasso. He told me the majority of the patatoes will be consumed in Senegal eventually. While I was having lunch with Alakagni, he received a text message. As many Africans, he subscribes to a news text messages. This way, he receives daily news flashes on his phone even when he cannot connect to the internet. The text he received during lunch mentioned the BBC documentary about slave markets in Libya. I arrived in Orodara, the first town East of the border, in the evening. The next morning I met Seydou when I was drinking coffee. Seydou has a very colorful personality, and hanging out with him is a lot of fun. I stayed for another day to spend time with him. He took me to a club where we danced with some friends of his, and I drove his motorbike in town. 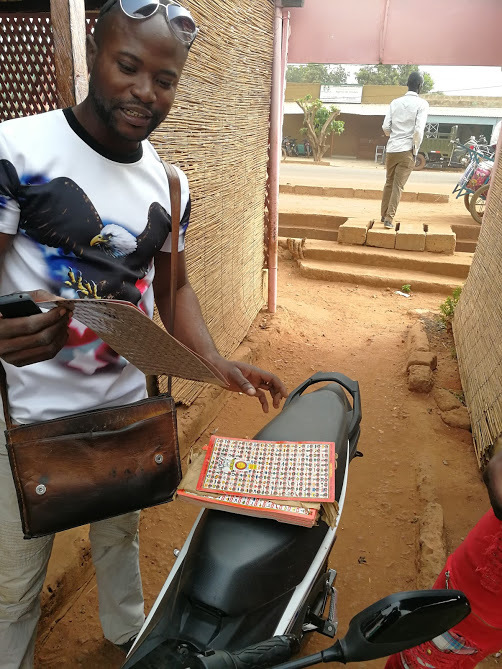 Seydou makes a living with gambling games. He sells small stickers for 13.000CFA (20EUR) a piece. Every game has a total of 152 stickers. When all stickers have been sold, the central symbol of the game (see picture) is revealed. The person with the sticker that matches the central symbol wins a motorbike. 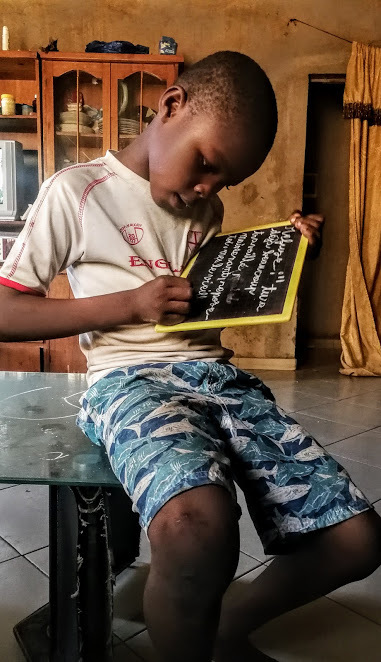 Seydou identifies as an ethnic Peul – Fula people – an told me it is very common for them to marry their cousins. He explained that he is married to a cousin of his, and that this makes his life easier. Because his wife and he share two grandparents the family fortune stays in a closer circle. The next day I deliberately avoided the main road to check out some jungle tracks. I saw a man, Abdul, grilling rats near railway tracks. He told me a freight train would pass by in two hours, and that the crew usually buys food. 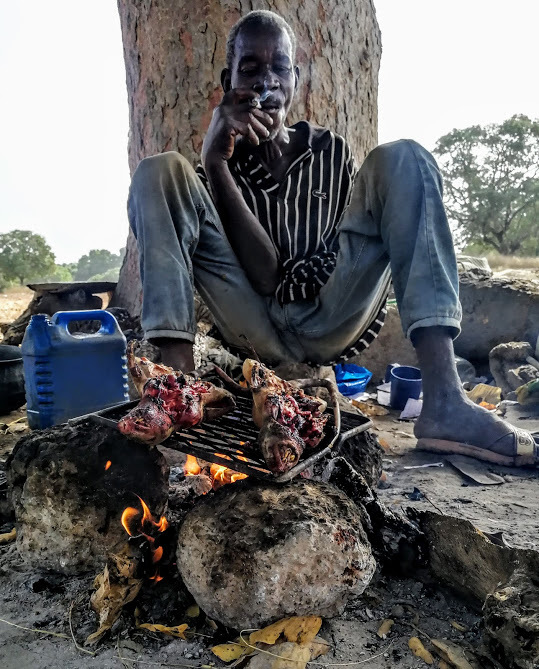 Abdul grilling rats and smoking. 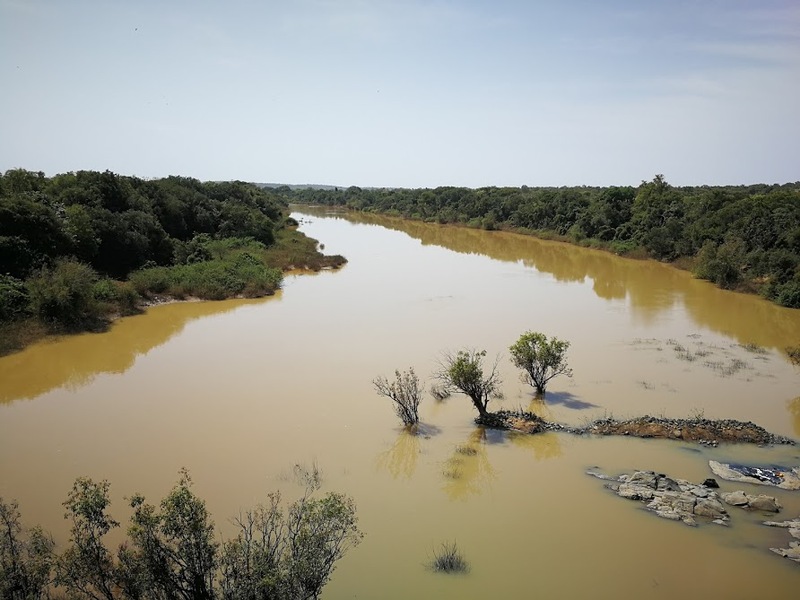 A couple of days later – I cycled along the main road from Bobo to Ouaga – I arrived in Ouagadougou. I was happy to park my bicycle for a few days. 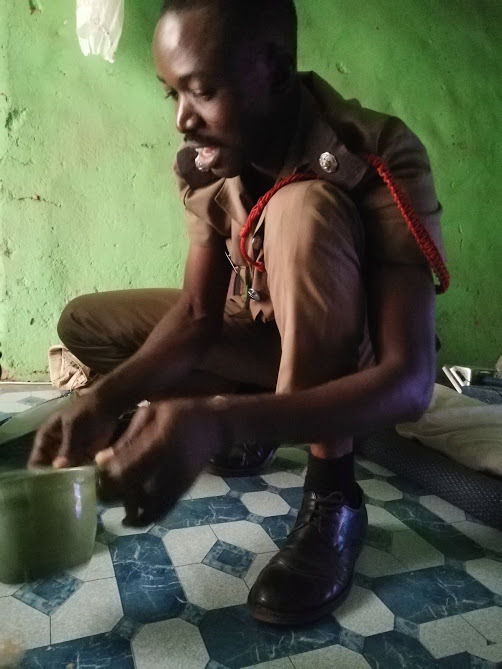 I had met Issaka Ouedraogo in a gas station in Boromo, 200km West of Ouaga, three days before. He and his family live in Ouaga and he had invited me to stay at their place. The Ouedrago’s do business in Shea butter. As it turned out, I arrived during the annual market of local producers near the city hall. I stayed for five days and helped out with anything I could. Mostly selling beauty products. “Avez-vous parfois la peau sèche madame ?”. Every evening, I hung out with the whole family. Left to right: Cheikh, Awa, Issaka, Muhammed, and Amira. 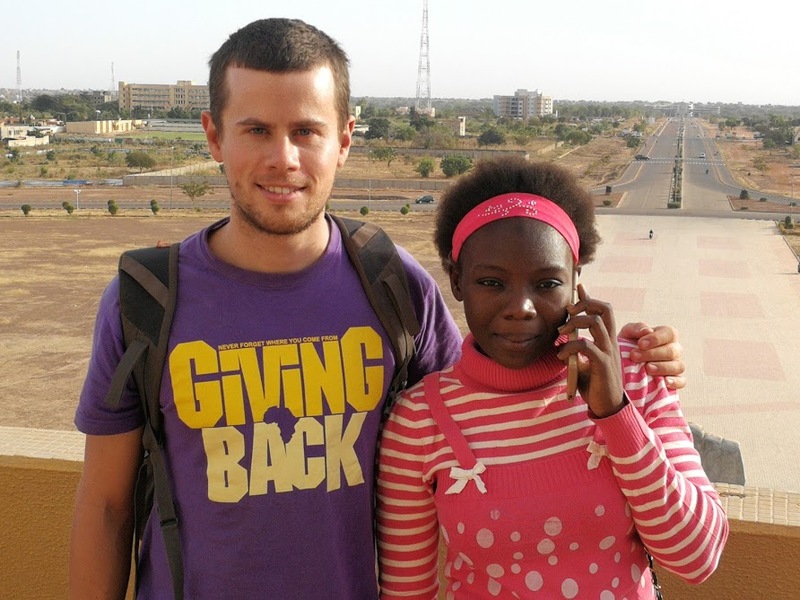 During my stay in Ouagadougou I hung out with Yasmine Kafando when I was not selling shea butter. I met her in her father’s bicycle store. She is a 20 year old medicine student with a great attitude. 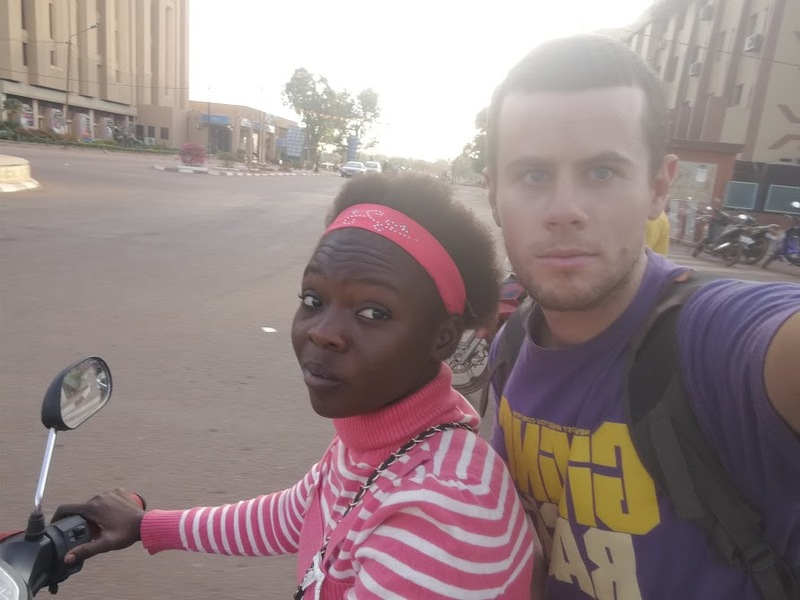 She drove me around the city and showed me the main attractions Ouagadougou has to offer. She is very well spoken and has an opinion about everything. 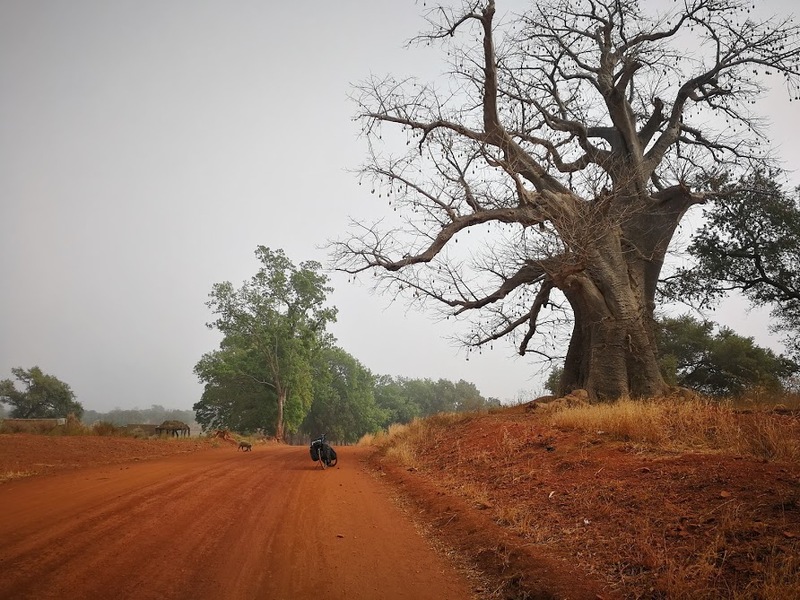 She was patient enough to explain me some of the cultural matters I have noticed: the dowry, polygamy, what the hell is a marabout?, mixed religion marriages, what does a village chief really do? … Some great discussions. 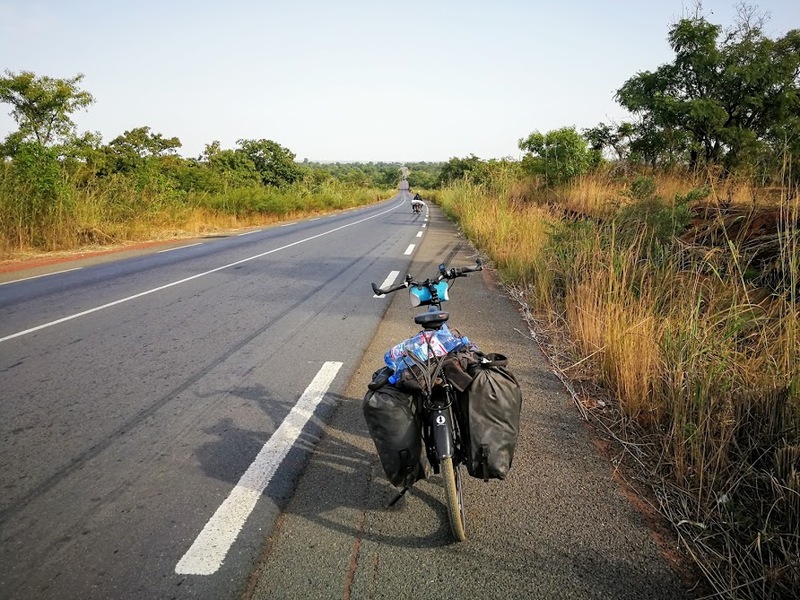 After Ouagadougou I cycled towards the border with Ghana. I cycled on sand roads in small villages. The air quality was very bad, and had been bad for weeks. Not because of smoke or exhaust gases, but because of dust. 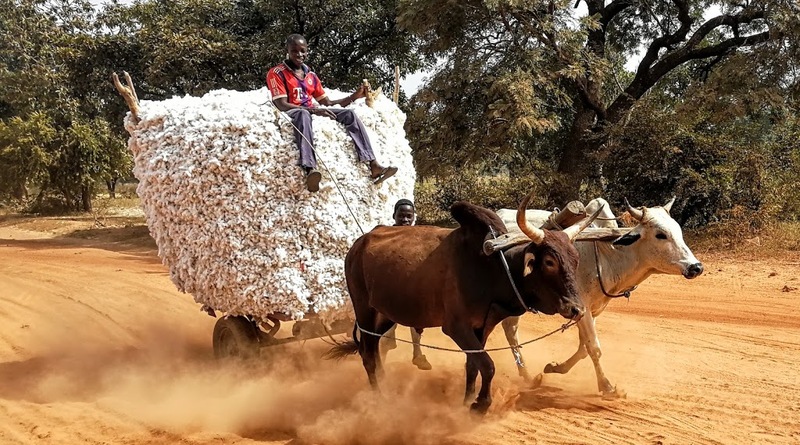 The wind picks up tiny grains of sand in the Sahel region and carries them South during this time of the year. This is a weather phenomenon that is said to have increased due to global warming (I got this from wiki, so not scientifically verified). 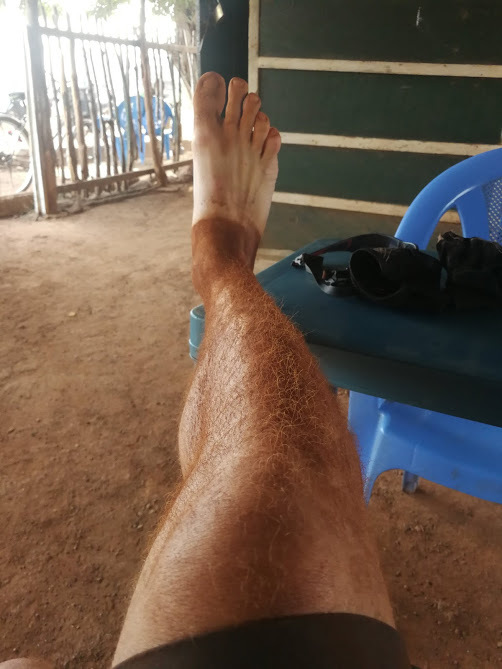 After 200km and four days later – I cycled slowly and took some time to read – I arrived at the border with Ghana. Unknowingly, I left Burkina Faso at the wrong exit point. Because I hold a European passport I needed to go to another entry point that grants visas. Timothy, a border officer and also my first friend in Ghana drove me to the right entry point to get all paperwork in order. I paid $150 for a visa. At night I stayed at Timothy’s place. 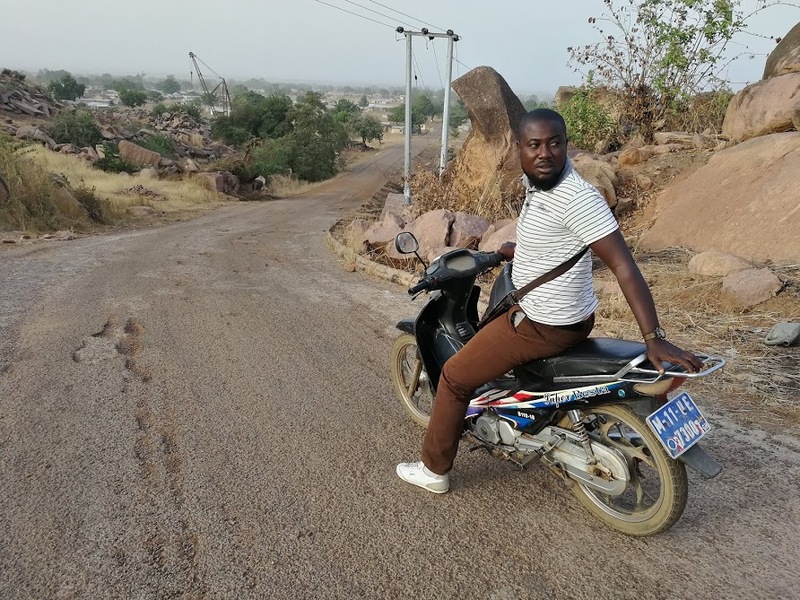 The next day I drove to a city called Bolgatanga. I met Ebo at a smoothie bar. Ebo used to work as a journalist and he immediately called a friend at radio Tanga when I told him my story. An hour later I sat in the studio and I talked about cycling and menstrual health during the Saturday sports broadcast. I came in right between an analysis of the premier league and some news about Christiano Ronaldo. The next day Ebo drove me to a rocky town called Tengzug to do some sightseeing. 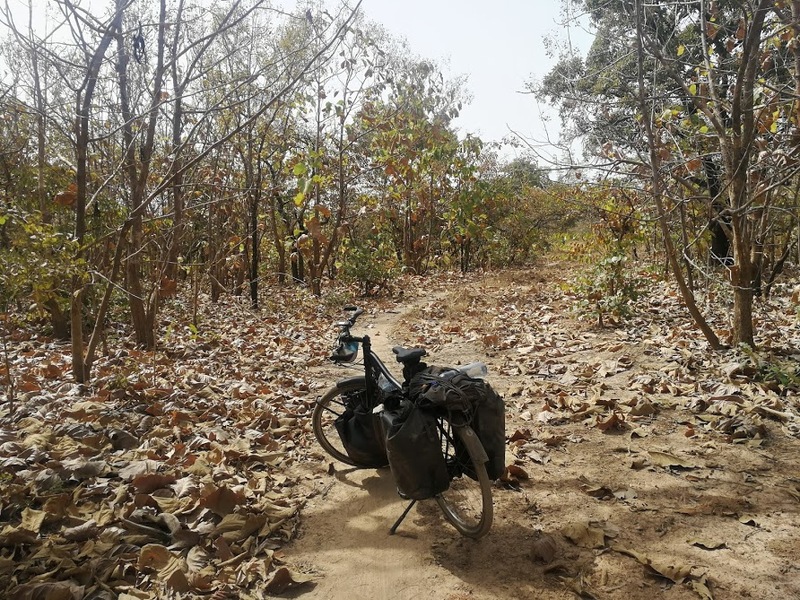 After leaving Bolgatanga I cycled towards Tamale. I chose, once again, to avoid the main road and have some sand-fun. In the evening I arrived in a village called Sung. 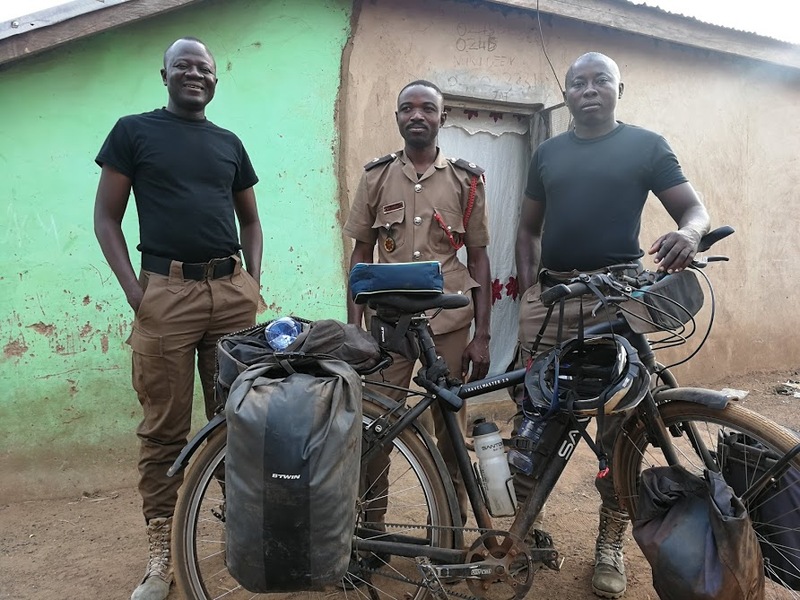 I met three fire fighters who had come from Tamale to educate local farmers about the dangers of setting fire to long grass. During the dry season farmers set fire to their lands to clear the grass, but often times this leads to accidents. The training session that the firefighters were planning to do the next morning was announced by a man with a djembe drum. 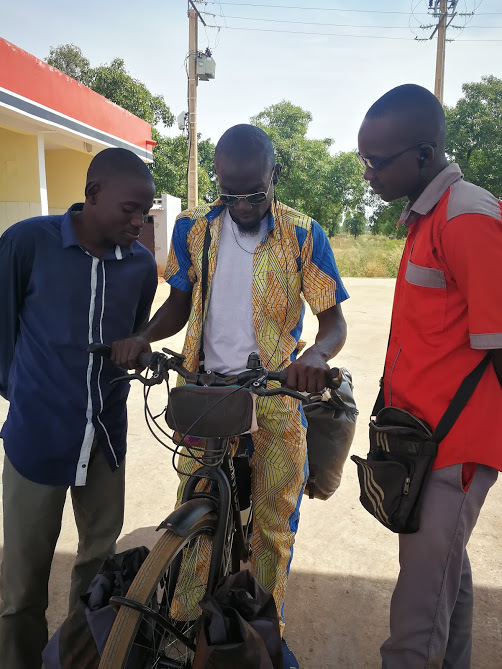 He cycled from street to street in the evening, played a beat on his djembe, and announced details of the next day’s training session. Fire fighters: Baba, Moustaffa, and Mohammed. children of Sung – note that this village is far from the main road, so I get a lot of attention. 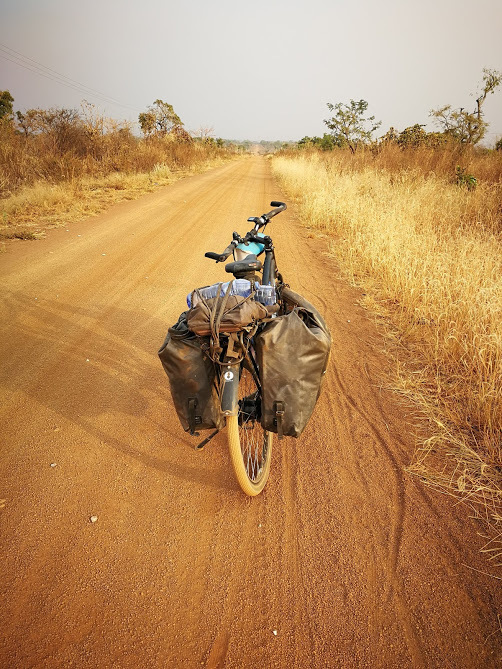 The next day I cycled towards Tamale, where I am staying now. The village where I stayed with the firefighters is 100km from Tamale. By the time I arrived my legs were covered in sand. Tomorrow I will start cycling South towards Accra. I’ll keep you posted! Happy to see that you spend your first days in Ghana. 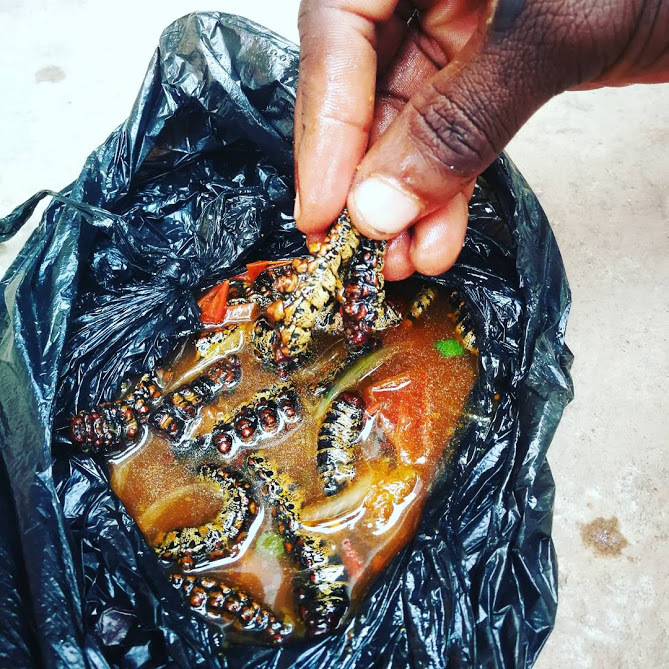 Culturaly a very rich country (Ashanti culture and their famous stool – museum at Kumasi, if I remember, but also testimonies of slavery on Gold Coast that you must visit – Cape Coast Castle & Elmina) and the marvelous coast (don’t forget to test tasty sea fruits 😎)! Enjoy your trip! bedankt voor je bericht. Ook aan jou, en bij uitbreiding iedereen bij BOA een gelukkig nieuwjaar gewenst. I was so happy to meet you once again in Bamako. Since Strasbourg/ kehl you did such a long ride. From Bamako I flew (not cycle, unfoturnately) to Abidjan and than to Zambia. Very interesting things to do but I did not really have enough time. On your blog I enjoyed all your stories and pictures. I feel that you love Africa like I do. 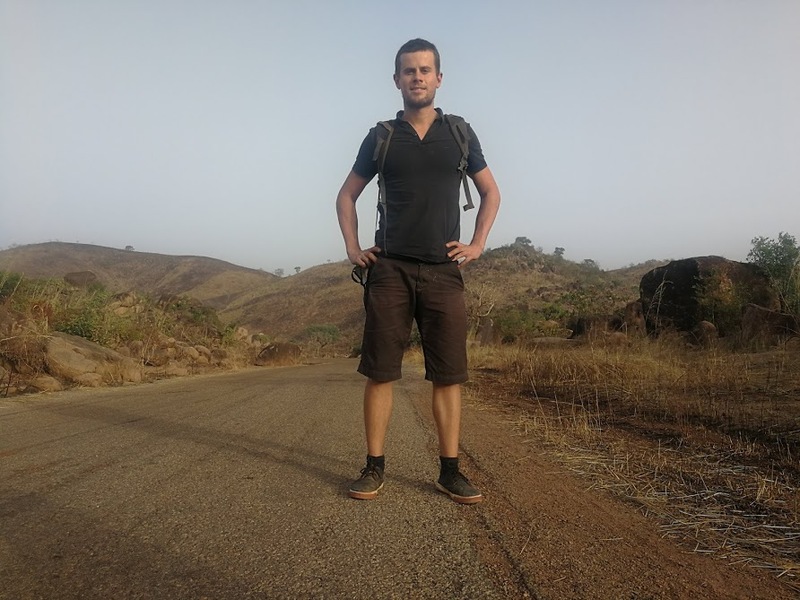 I did my first trip to Western Africa (Ivory Coast, Mali, Burkina Faso and Ghana) when I was a student and since that time I was fascinated. People are so naturally friendly, it is really the “Land of Smiles”. I am glad that you experience it now. Go on and have fun and good adventures. I don’t think I will ever forget our river side dinner in Bamako. I loved it! Africa lovers think alike, Africa for life ;). all the best and happy new year. It’s been awhile and our progress is unstoppable! Good for you!! Wishing you a Merry Xmas from Toulouse, and a Happy New Year from Singapore! Be safe! All the best. bedankt voor je bericht! en gelukkig nieuwjaar. Het lijkt erop dat ook jij veel reist :). Geo dat doet. Die Afrikaanse microbe raak je nooit meer kwijt! 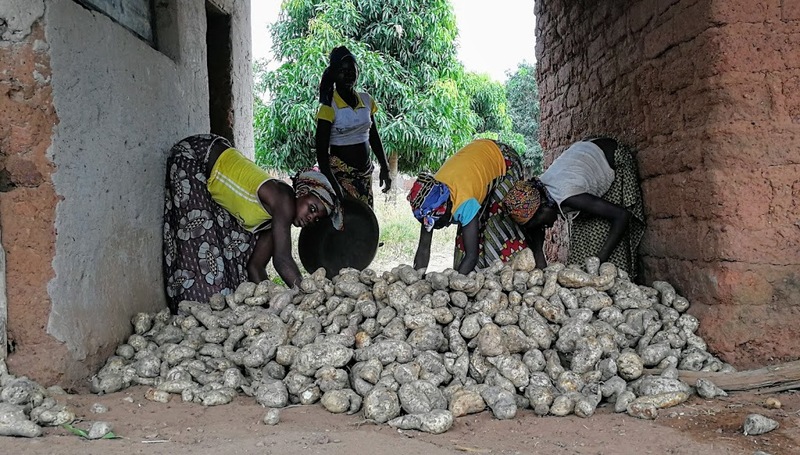 Ik wens je alvast een Zalige Kerst en het allerbeste voor 2018.
woon je nog steeds in Congo? En waar dan precies? Leuk dat je me volgt, altijd schitterend als echte Afrika liefhebbers het leuk vinden wat ik uitvreet op de fiets. always a treat to read your blog. Now you have become a radio star! Noticed your “bike” starts to feature more predominately in your pictures. Not surprising considering it carried you almost 10,000km so far. mijn fiets zet ik vaak in beeld om er toch maar iets op te zetten… en om te bewijzen dat ik de foto’s niet van google pluk..
hopelijk gaat alles naar wens in Leuven. Ik wens je bij deze een fantastisch 2018 toe. 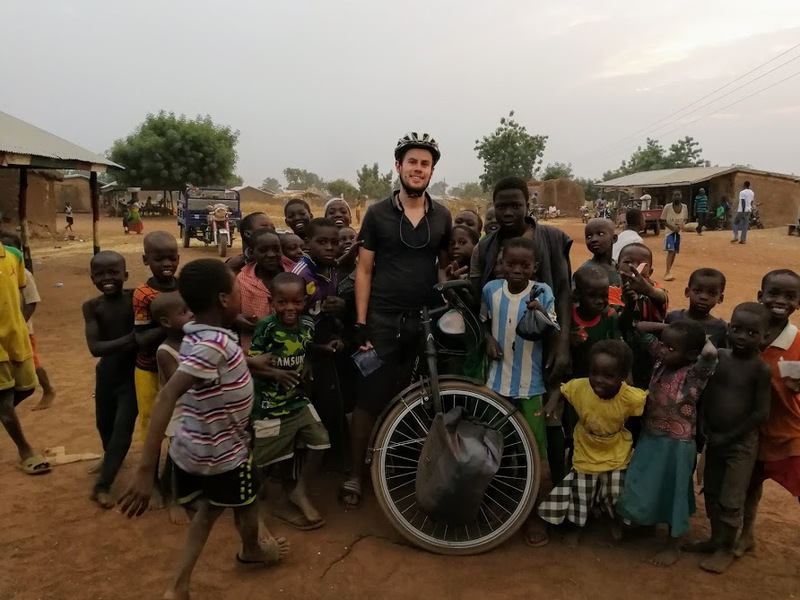 Met veel belangstelling lezen we jouw verhalen vergezeld van fotos waaruit blijkt dat je met veel enthousiasme door Afrika fietst. ook voor jullie het allerbeste in 2018. Prachtige reis en avontuur tot nu toe ! Maar vooral waarschijnlijk onvergetelijke ontmoetingen. Bedankt voor de blog en nog veel interessante ontdekkingen in 2018 tot de Tafelberg.